For Eric Brossier and his family, the research ship „Vagabond“ is home. We accompany them on expedition across the Arctic Ocean together with a team of climate researchers. Will their mission succeed? The French family Brossier leads a rather unusual life. 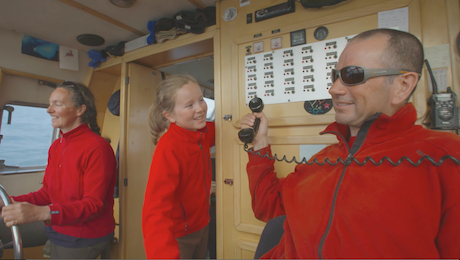 Captain Eric, his wife and their two six and nine-year-old daughters live on the „Vagabond“, a 15-metre-long research ship. 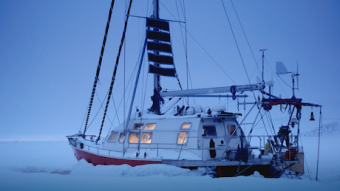 During the winter, their normally floating home is stuck for months in the Arctic Ocean’s thick pack ice in temperatures of -40°C, in the summer, the ship embarks on its expeditions. Scientists from all over the world value the small, manoeuvrable vessel and charter it for their research projects. We accompany the Brossiers and climatologist Jochen Halfar on an adventurous journey across the Arctic Ocean between Greenland and Canada. Halfar and his research team become part of the Brossier family’s everyday life at sea with all that this entails. They survive heavy storms and are repeatedly forced to change course to avoid even worse weather conditions. 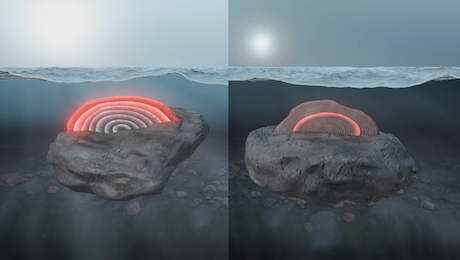 Divers want to search the seabed for coral algae; their growth rings may give Halfar some indication of the thickness of the sea ice. He hopes to find out more about climate changes in the last thousand years, and obtain valuable information about today’s climate change. 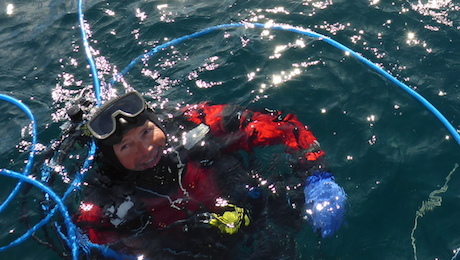 Will they be able to collect enough coral algae? The scientists hope to create a unique climate archive of the Arctic.